The 1.5V AA AgfaPhoto Alkaline Power batteries are from a German brand associated with Photography, though the batteries produced under that brand are a licensed product, nevertheless we are interested to see how well they will perform in our tests. 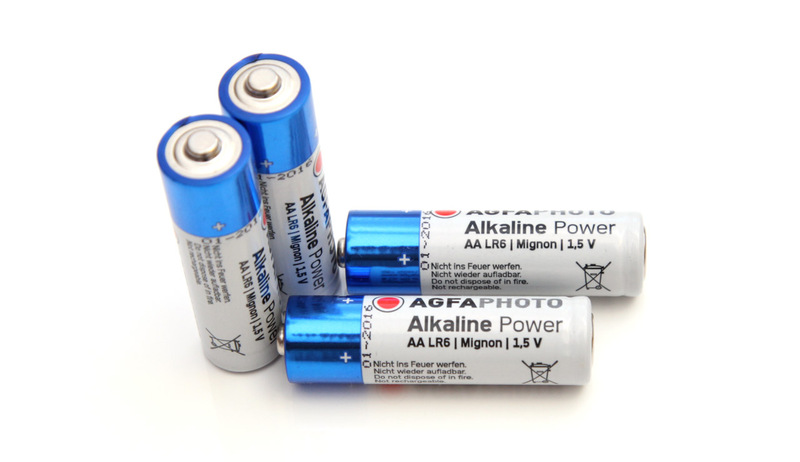 According to AgfaPhoto their Alkaline batteries are supposed to offer long-lasting dependable power to thirsty everyday devices such as toys, torches, electronic games and more. The batteries we got for testing here were with an expiration date of 01-2016, so they are probably not so fresh with a possible shelf life of about 4-5 years as couldn’t find exact data about this. Time for the tests to start for the 1.5V AA AgfaPhoto Alkaline Power batteries beginning with a low constant current discharge rate of 0.1A and the result we got was 2441 mAh as capacity is actually quite impressive considering that the batteries have probably been produced close to two years ago or possibly more even close to three years ago. This result is better than that of a more recently produced Duracell Copper Top battery and places the AgfaPhoto in about the middle of out Top 10 AA Alkaline batteries for load load applications. Thought the capacity we are getting from the batteries with increased loads is not that serious, probably due to the fact that they were not so freshly produced. Anyway, we are seeing really promising results here from the AgfaPhoto batteries and we are going to look for a newer production to repeat the test and see if we are going to get better results, but even with these batteries we still get quite good results in terms of usable capacity both for lower and higher load applications.